Alex and Dan are a lighthearted, silly couple at heart, so a cheerful summertime engagement session with Sara Abdulaziz Photography captured their personalities just perfectly! 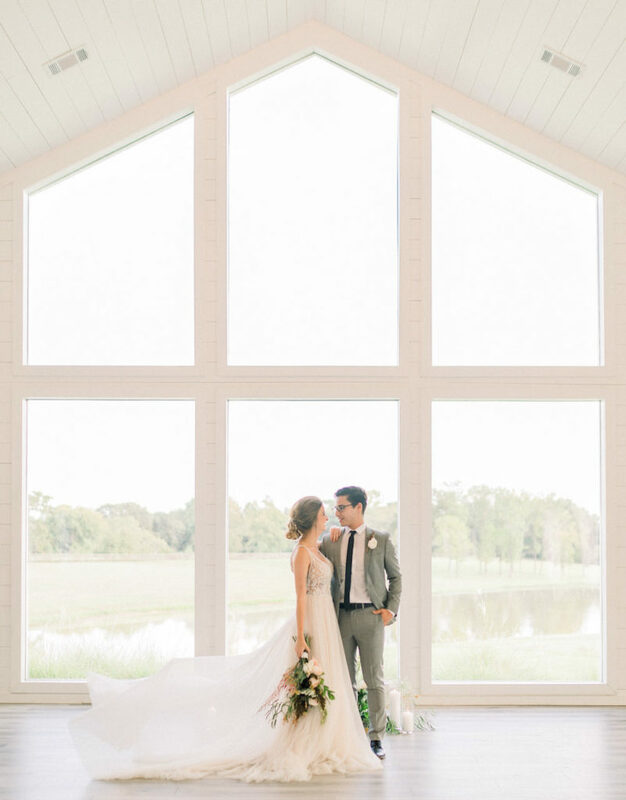 The trio chose Houston Heights as the setting for these bright and airy photos, with golden hour sunlight streaming through the trees and greenery galore serving as a beautiful backdrop for portraits they’ll cherish for years to come. Dan wore a bowtie he’d saved from the first wedding he and Alex ever attended together – such a thoughtful detail! Alex’s floral sundress worked wonderfully to represent her personal style while still looking sophisticated and sweet. A cheerful summertime engagement preceding a beautiful summertime wedding – cheers to these soon-to-be newlyweds with their infectious smiles! From the bride on how they met and became engaged: “We became friends after meeting at Grove City College and sharing the same friend circle. Fast forward two years after graduation and we reconnected at our best friends’ wedding, and the rest is history! Daniel proposed with the ring of my dreams at his grandparent’s house in Franklin, Pennsylvania, on June 29, 2018. His parents, brother and grandparents were all there to celebrate with us. I was so surprised! We had been doing long-distance, and I did not think that he would propose before I made the big move to Texas in August! One of my favorite details for our wedding is our send-off because it was something we could personalize and have fun with. We found an alternative for sparklers and will be doing a Terrible Towel send-off in honor of my future husband being a die-hard Pittsburgh Steelers fan. « Previous Post: Get Your Tickets to The Dunlavy Weddings Showcase + a Giveaway!